When you need professional HVAC service for your home in Sun City, SMW Refrigeration and Heating is one of the best and we are family owned and operated. Residents of Sun City can be confident choosing our company because we’re a business partner with the S.C.H.O.A. (Sun City Home Owners Association), we offer 24/7 service, and we are very familiar with the local area and people. Were a reliable, professional, and reputable choice for a family owned air conditioning and heating company. 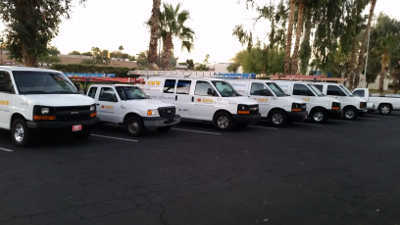 When its time to get rid of your old air conditioner, we offer Sun City, AZ one of the best installation services around. First, a technician comes over to help you choose a unit and make sure everything is properly sized. Having the right size unit is important so that it works efficiently and delivers the most amount of comfort while using the least amount of energy possible. Once an install date is chosen then you will get to meet our installers. They take each job on one at a time so we can focus on delivering a quality installation because it will determine how your unit is going to work for the rest of its life. A bad install will lead to a lot of frustrating breakdowns. We have chosen some of the best installers and technicians around to make sure your air conditioner has an awesome install job that will allow it to work at optimum efficiency. 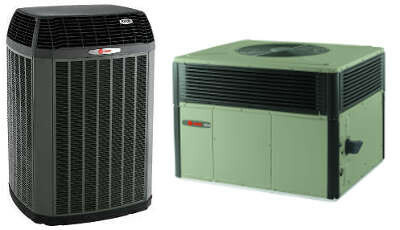 In order to sell and install Trane AC units, we earned the title of Trane Comfort Specialist from Trane. We had to prove that we are the best for service, installation/replacement, customer service, and on-going staff training, as well as having NATE-certified technicians on staff. Not only can you feel good about getting a reliable and durable unit but also having an awesome install. Trane is the ultimate air conditioner of choice that’s why we work with them because we want our customers to have the best units around, we worked hard to be able to do that! If your air conditioner or heat pump is not cooling your home, we offer one of the best AC repair services around Sun City. You might notice the unit is not turning on at all, not cooling well, or maybe just part of the system works. When service is needed there are many variables like poor system design that can cause things to go wrong. Smaller components like the run capacitors can cause the need for AC repair, but they shouldn’t as long as you have routine maintenance. Our technicians are prepared for any scenario that calls for AC repair service because they are experts in the industry. We offer our heat repair service for gas furnaces and heat pumps. While furnaces use gas combustion to heat homes, heat pumps work like an AC but they have a reversing valve that also allows them to heat with freon. Our technicians spend a lot of time staying up do to date on the latest HVAC equipment and what they can expect from older builds to offer the best repair service. Heat is mostly needed in the night and early mornings, that’s why we have technicians on call 24/7, so you don’t spend a night uncomfortable. Your homes AC and heating system must have routine maintenance check ups every 6 months in order to maintain its efficiency and prevent breakdowns. When running an A/C and gas furnace combination well check each side once a year, cooling for summer and heating for winter. Heat pumps are checked twice a year since they can cool and heat. Prevent breakdowns by having us out routinely that way our expert technician can identify anything that is going to breakdown or cause one. We can also help improve the efficiency of the system, just let us know if your utility bills are high.